To meet one’s hero is among the most exciting experiences in life: you feel like you’ve known them for years and that they have had such an impact on you without their even knowing it. But it’s also one of the scariest experiences: what if they’re not everything you thought they’d be? What if the meeting you had been building up in your head isn’t as incredible as you thought it would be – and if it isn’t – what then? If the influence they have had on your life is proven to be unfounded, what happens to your own philosophy? This isn’t hero worship, but figures enter our lives in strange ways and have shaping influences on us that sometimes we don’t fully appreciate, and their words are there in the back of our minds. 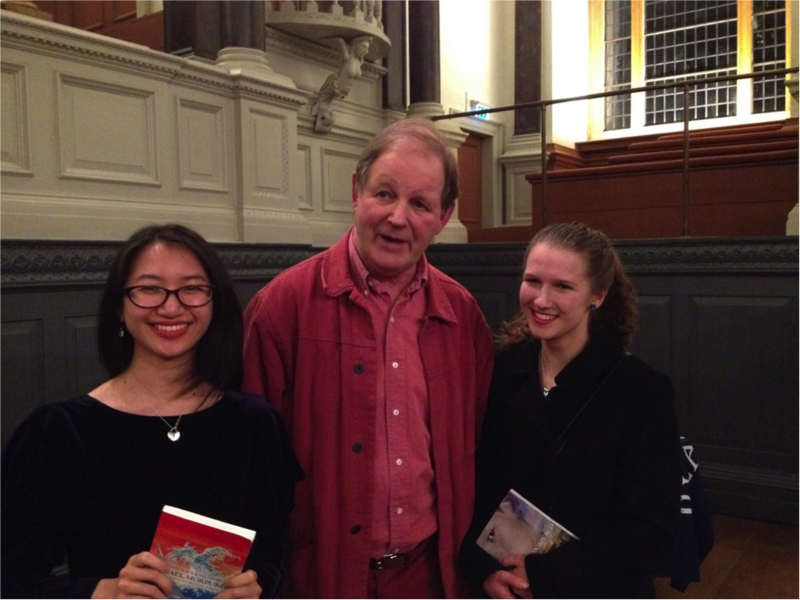 On Friday 30th January 2015, I met my childhood hero, Michael Morpurgo. He took over the Sheldonian for one night to read his acclaimed War Horse, with the accompaniment of beautiful folk music as performed by John Tams and Barry Coope. He read beautifully, emotionally, comically, tragically and understandingly. Nothing was overdone, and he showed how perfectly he understands the significance of his book and can convey its message. With War Horse, Michael Morpurgo did not just write a book, but rather initiated a movement in commemoration. But even before that, for me, he provided an insight into the world of the imagination. Then, when given a chance to talk to him about this, what was I to say? “Hey, thanks for, you know, the books. Nice job. Keep up the good work.”? No. But I really shouldn’t have worried, because (as is the sign of a man used to meeting people) he was easy to talk to, interesting, and moreover interested in whatever his audience had to say to him, be they eight, eighteen or eighty. Now what I have to show is a happy memory and couple of photos in which no one is looking at the right camera. But that’s okay: moments like this don’t have to be perfect. They just have to be special, because they matter.